Let’s get this straight, I’m no expert when it comes to Austrian cuisine. With limited understanding of the language (basically nil) I was like a rabbit caught in the headlights when first handed a menu of Austrian dishes. However, after a couple of visits spent yomping through the glorious Austrian countryside and being fattened up like the proverbial Christmas turkey at homely hotels and cosy restaurants I’m now on nodding terms with some of the favourites of the Austrian gastronomic scene. 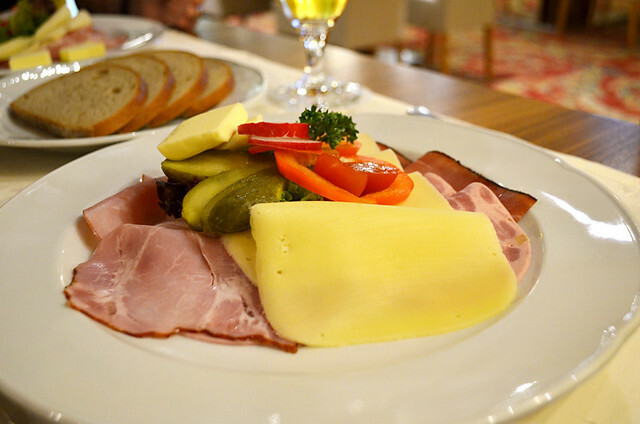 This is for other newbies, a beginner’s guide to eating your way through a common Austrian menu without choking on the käsespätsle in the process. A lot of our friends aren’t convinced but a bowl of mushy muesli flavoured by wild fruit yoghurt is a perky way to start the day. 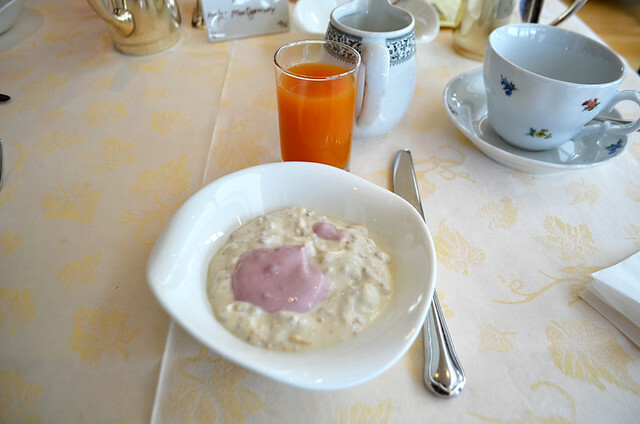 Austrian muesli is like the Swiss Bercher muesli where the oats are soaked overnight in milk and sometimes fruit juice. It doesn’t look great but it tastes wonderful. The dry Alpen in the cupboard will never seem the same after trying the sensational soggy Austrian version. 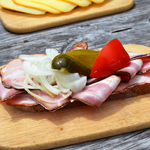 Jause is a perfect snack for walkers, it’s basically the Austrian version of a ploughman’s lunch with cheese, cold meats (usually including speck – cured and smoked ham) gherkins, horseradish and dense bread. Especially tastes delicious when served with epic views at a mountain hütte. Stay in any Austrian gasthaus and your going to find yourself looking down into a bowl of clear soup more than once. 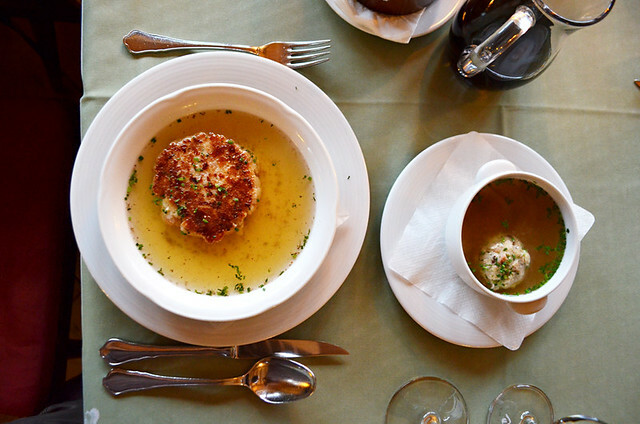 Austrian soups are often more like a bouillon but with a knödel (dumpling) island (often liver) adding bulk. If there’s an Austrian dish that many people will instantly recognise it is the unmistakeable curves of the weiner schnitzel. A fillet of pork or veal is beaten till it’s anorexic, coated in breadcrumbs and fried in butter. 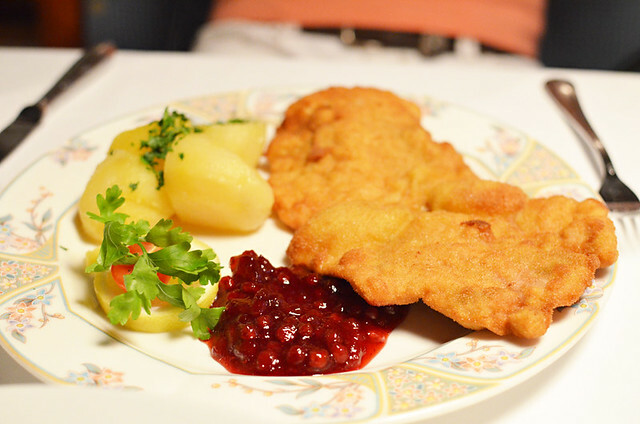 The popular story goes that the schnitzel was invented in Vienna but some claim that the Moors were munching a type of schnitzel long before the Viennese. For some reason schnitzels make me think of motorway services in the UK. I love gröstl. For me it’s an ideal brunch dish; a wonderful mish mash of bacon, potato, onion, and savoury seasoning. The best is served in the pan it’s been fried in and topped with a fried egg. 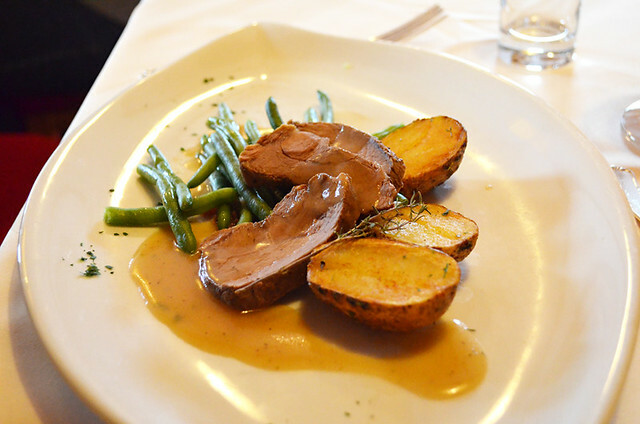 The Austrian national dish, tafelspitz is boiled beef served with potatoes and horseradish sauce. It’s not the most exciting of national dishes (the horseradish sauce helps liven it up) but it is tender, filling and tasty. 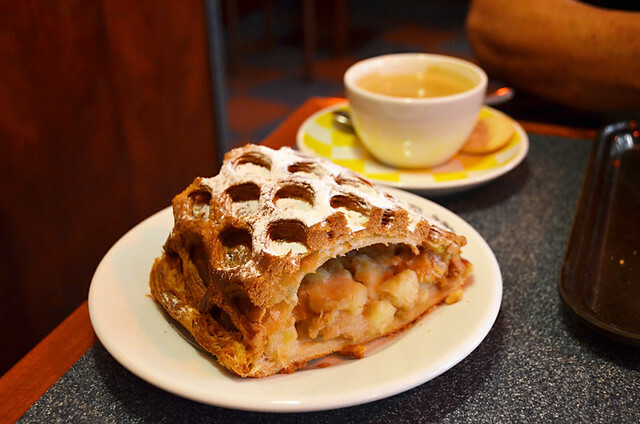 Culinary influences from other parts of Europe are quite common in Austria. 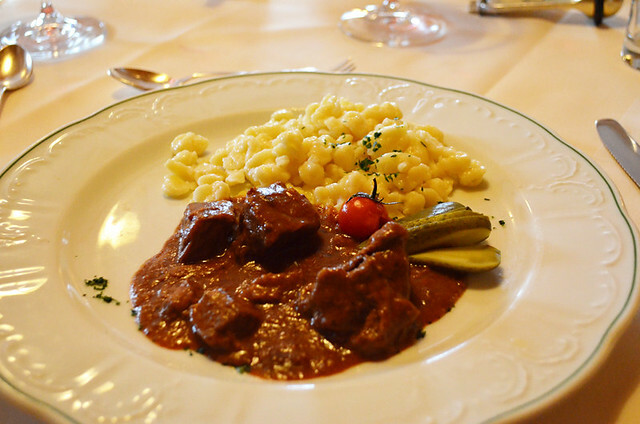 Gulash, unsurprisingly, is said to have been introduced into Austrian cuisine by Hungarians. The beefy, savoury stew is another Austrian dish that most people will already be familiar with. 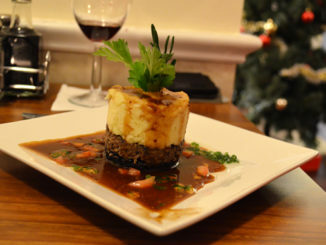 Another hale and hearty offering. 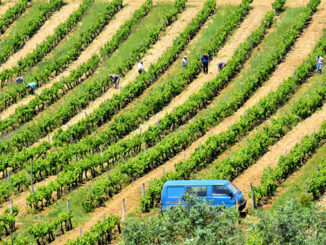 This time the influence is clearly Italian. Pasta and polenta dishes are relatively common in parts of Austria. 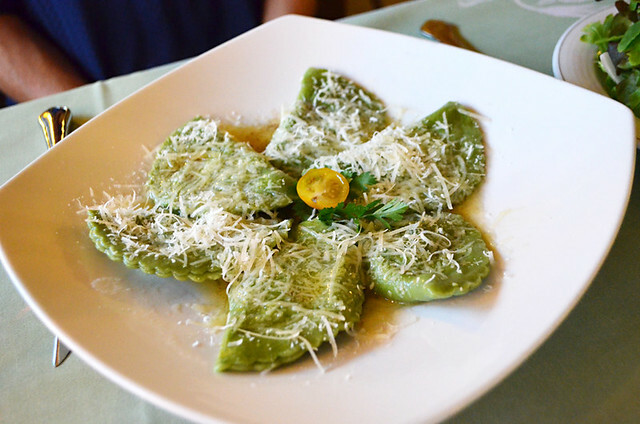 Schlutzkrapfen is Tirolean ravioli; little pasta parcels filled with the likes of spinach, pumpkin and goat’s cheese. The schlutzkrapfen we ate at Restaurant Zum Neuner Wirt in Mösern was as good a ravioli dish as we’ve eaten anywhere. Simply apple strudel and cream. With a coffee, a great little (well… big) pick me up when legs are tired after crossing perfect Austrian meadows and tackling the slopes of snowy peaks. 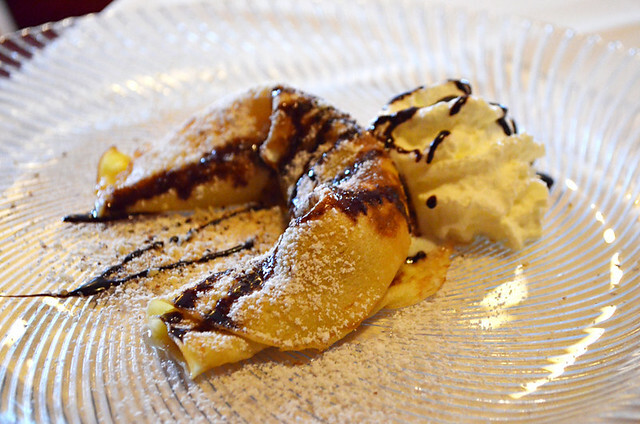 Austrian crepes used in exactly the same way as their French counterparts. If having sweet ones, expect the obligatory dollop of cream. 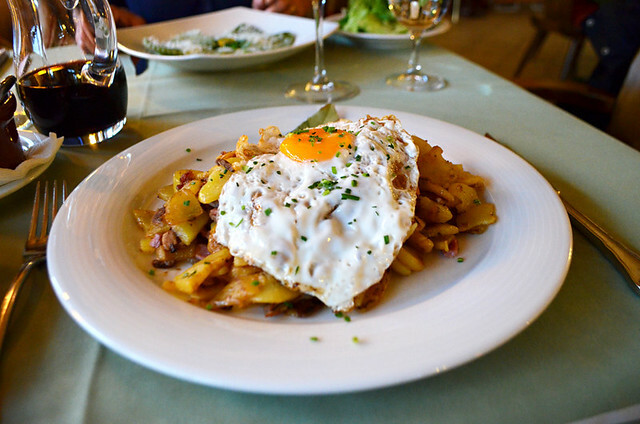 Whether you can successfully wrap your tongue around those long and undulating Austrian words or not, one thing is for certain; work your way through some of these dishes and you won’t be feeling peckish for a long, long time. Serving Food on Wood in Restaurants, Trendy or Traditional?